It was mentioned for the first time In 1409 as Lucafalva. During its history, there were several military raids carried out against the village which also sustained a lot from flooding. 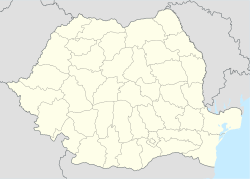 After break-up of Austria-Hungary in 1918/1920, the town became part of Romania. As a result of the Second Vienna Award it became a part of Hungary between 1940 and 1945. Since then it has been part of Romania. The commune has an absolute Hungarian majority. In 1910, it had a population of 713 Hungarians. According to the 2002 census, it has a population of 2,947 of which 73.77% or 2,174 are Hungarians. This page was last edited on 18 March 2017, at 16:13 (UTC).